Buzzball - Spin somersault corkscrew tumble barrel roll flip twist accelerate... And that's just the start. 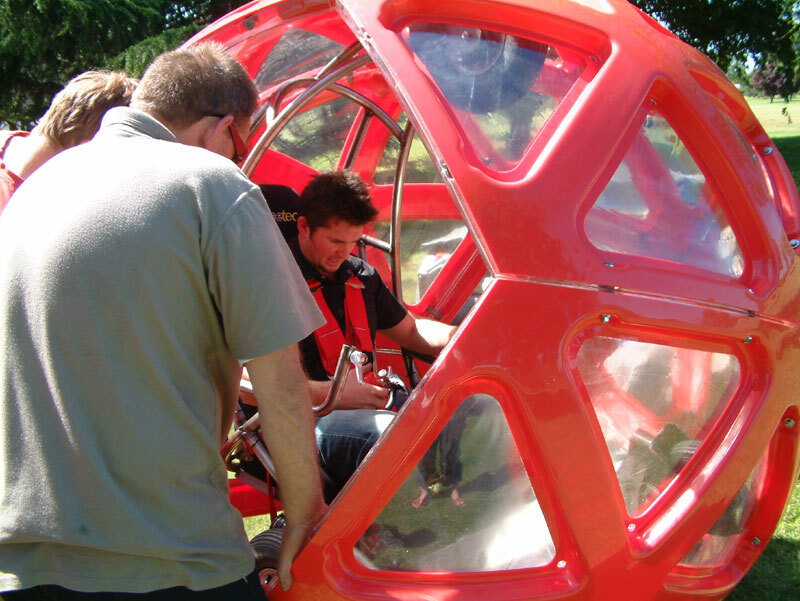 Strap in to the customised racing seat and five-point harness, mounted in a powered pod that spins and rolls independently of the ball itself. Twin throttles power the driving wheels on either side of the pod and let you control the Buzzball's motion, pushing the ball forwards as you accelerate within the shell. 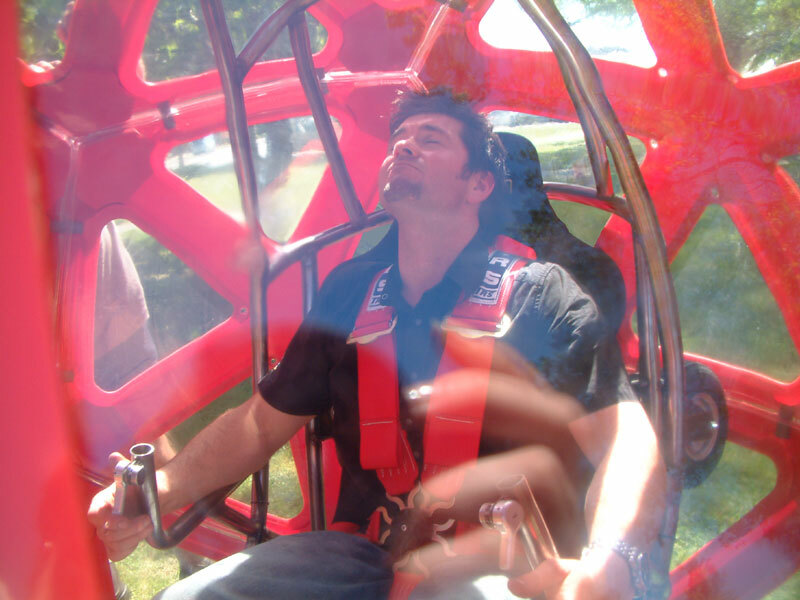 Changes in direction cause the pod to rotate against the direction of travel, resulting in a series of spins and sometimes complete barrel rolls as the ball turns - the Buzzball delivers a thrill like no other interactive ride! At the heart of the Buzzball is a dual motor configuration, enabling the pilot to control the motion and direction of travel via left and right control triggers, which provides power to the driving wheels. The amount of power applied to each wheel will determine the direction the Buzzball moves. 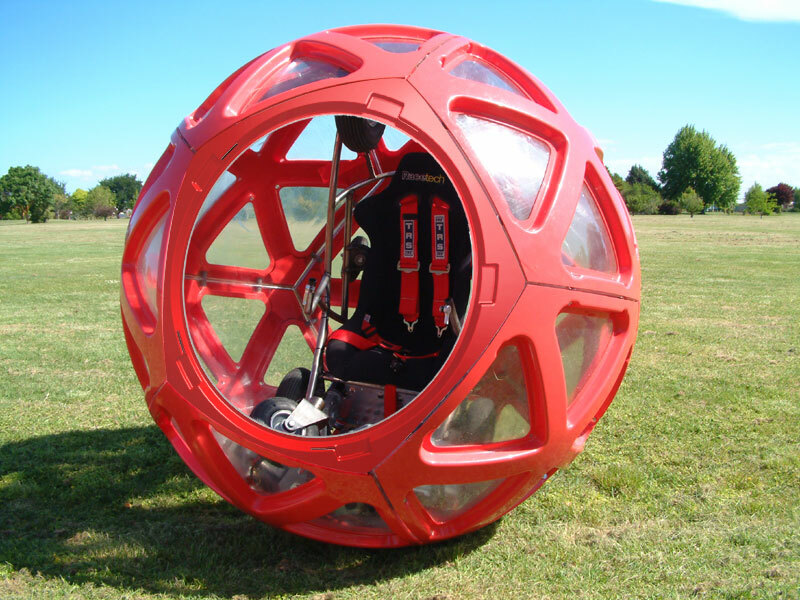 Powering one wheel will spin the pod and pilot on it's axis around the inside of the ball changing the direction of travel. If power is applied equally to both wheels the pod will rear up as the wheels climb up the face of the ball forcing the ball to rotate around the pod and powering the Buzzball forward. 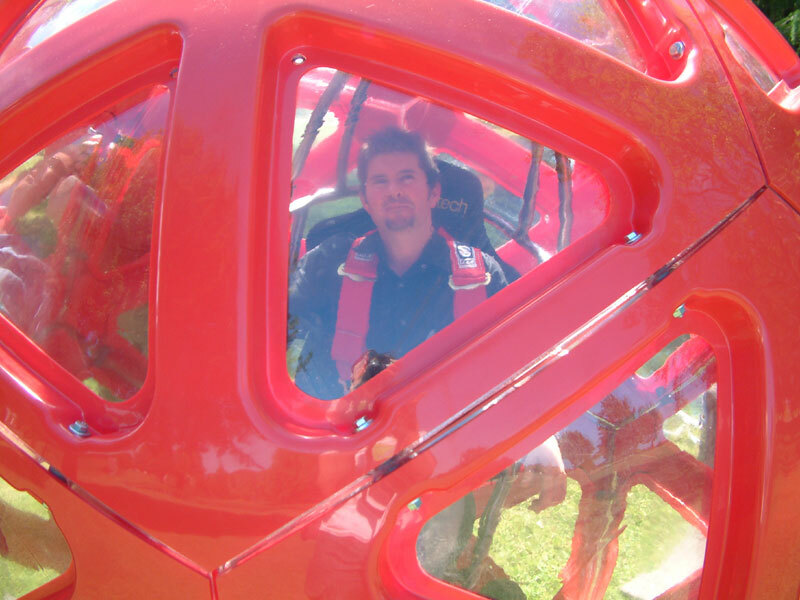 Once the Buzzball is in motion the pod maintains an upright position until the pilot turns, causing the pod to rotate inside the ball against the direction of travel, which applies a braking force and the pod to lock with the ball. 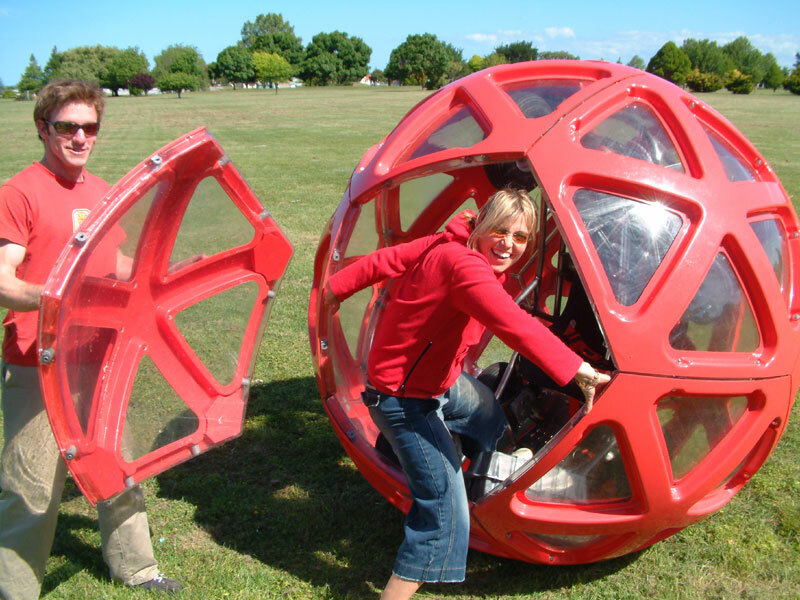 This causes the pod to rotate with the ball until the weight of the pilot and pod overcomes the inertia forces and causes the Buzzball to change direction. This is when the fun starts, as the speed will affect the degree of rotation of the pilot and pod from a partial barrel roll to complete and multiple rotations!